Day 27. Patagonia Friends. November 30, 2015. 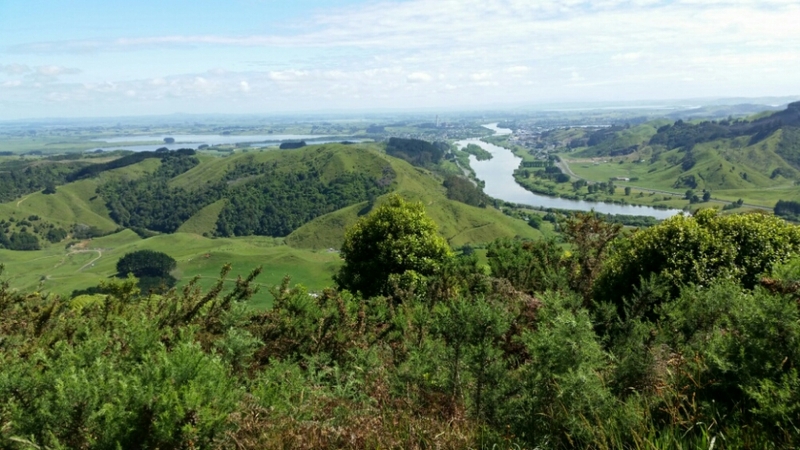 Huntly km 761 to Ngaruawahia km 780. We had half this cabin. Check out that blue sky. 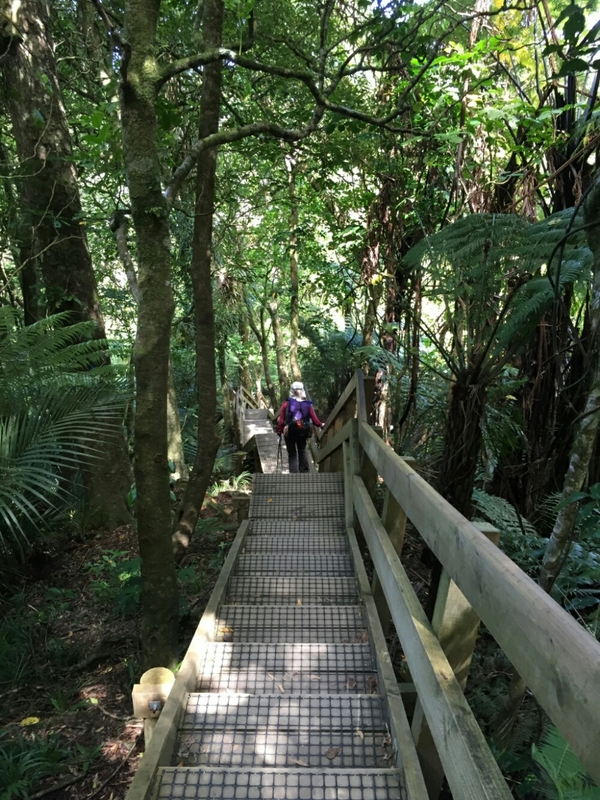 We said goodbye to our great little cabin and set off for the Hakarimata Walkway. There were LOTS of steps on each side of the traverse over the ridgeline. 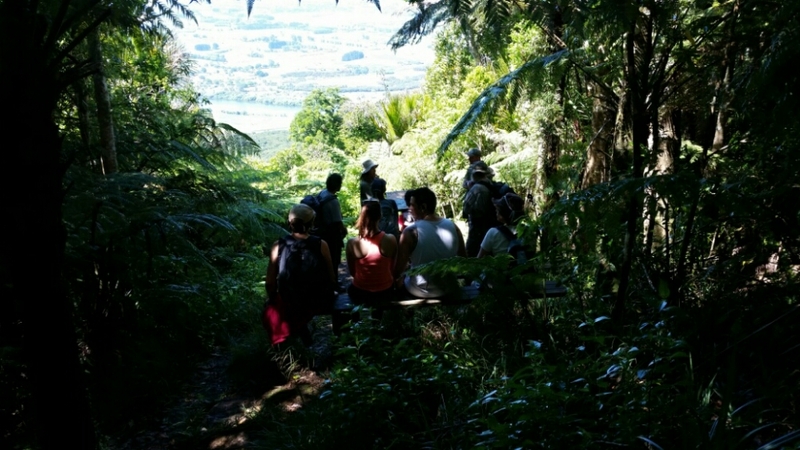 At one viewpoint we came upon Brett sharing his TA stories with some of the Auckland Tramping Club. Cheese and cucumber sandwich for lunch. 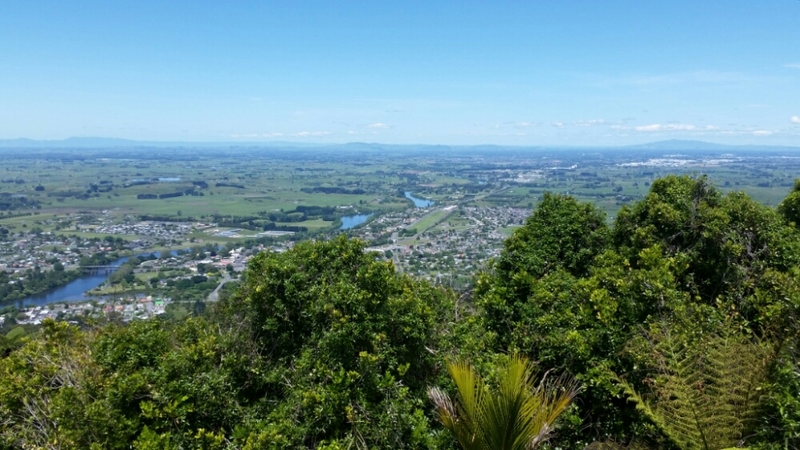 We descended a bunch of steps into the town of Ngaruawahia. My friend Jane picked us up there and we have been in heaven since. I met Jane in 2013 in a coffee shop in Puerto Natales in Patagonia. 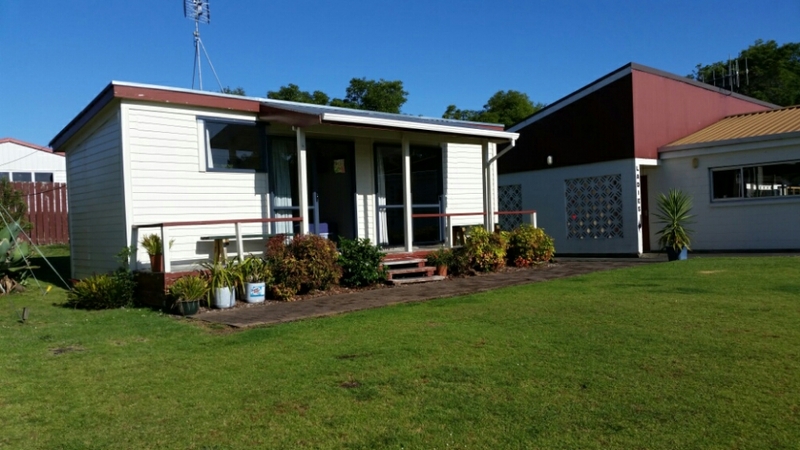 Jane lives in a cute little beach town near Bay of Plenty…. Waihi Beach. We drove thru the impressive Karangahake Gorge to get here. 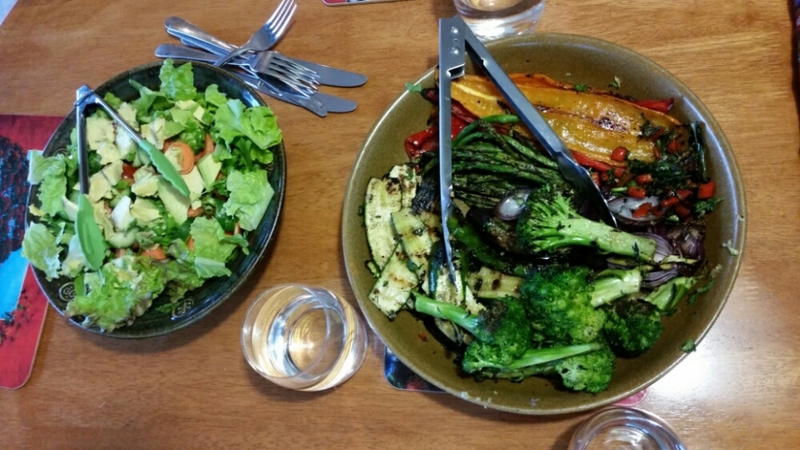 She has an amazing vegetable garden and we had a grilled veggie and salad feast….. the exact opposite of what i have been eating. 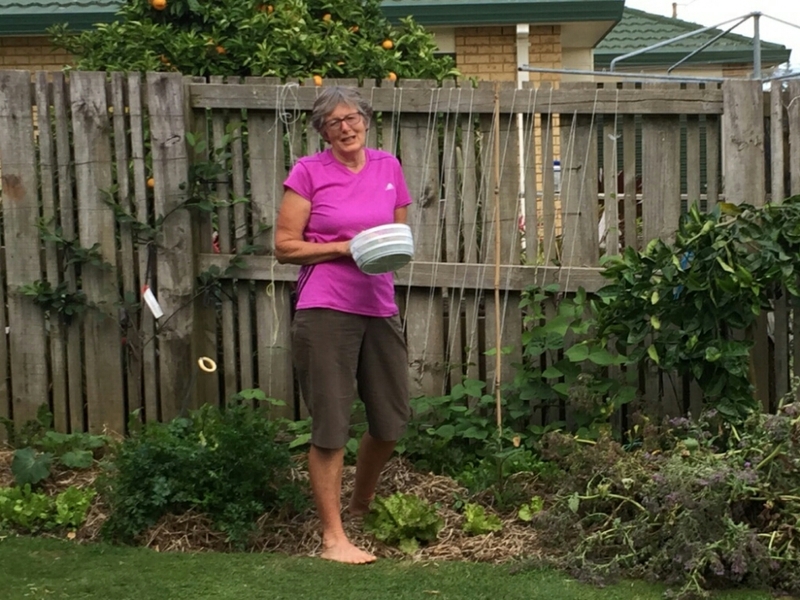 Jane shared so much with us… her knowledge of NZ, travels around the world, gardening (which Lisa knew much more about than I did), and so much more. 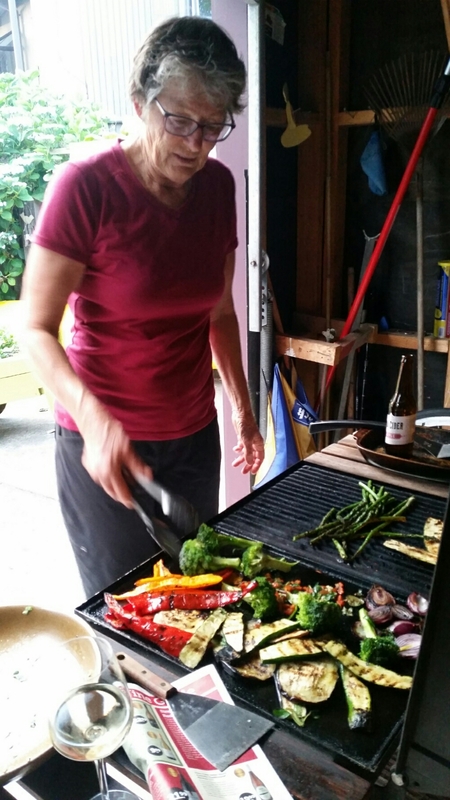 Look at all that goodness.... Jane and veggies. Fantastic worldly connection! Your extended family is growing. Fabulous pictures and it looks like you’re having a ball out there in Kiwi Land!!! Keep posting as we’re all on the edge of our seats waiting for the next installment. 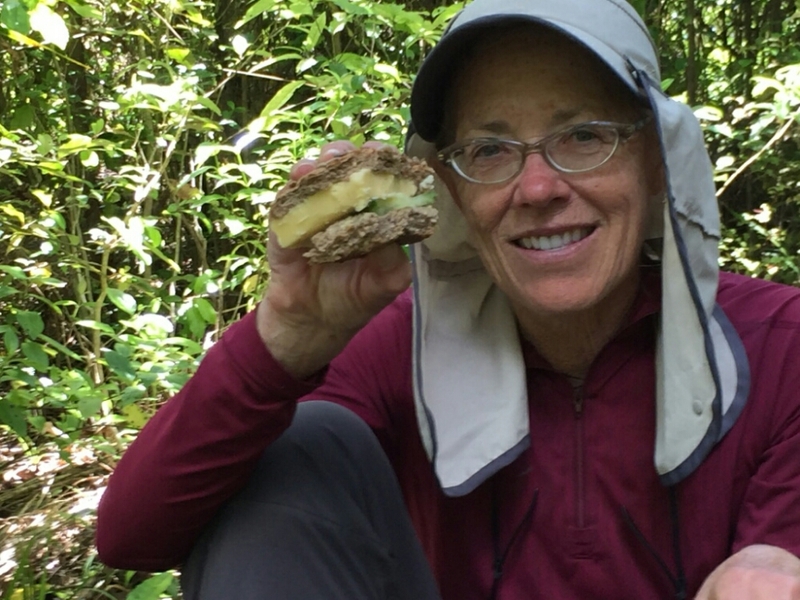 So nice to have you hiking in the off season when we’ve all got time to follow a blog, and glad Lisa caught up with you. Hike on Nancy! What an Excellent Adventure… Your living our dreams! I’ll echo what Shroomer said, great to have a live blog to follow in the winter!